The knights of the kingdom of An Tir pledge loyalty to their new King, UlfR Blodfotur Fallgrson. Most people don’t have work colleagues who regularly come into the office with bruises and photos of their weekend clashes with armored warriors. 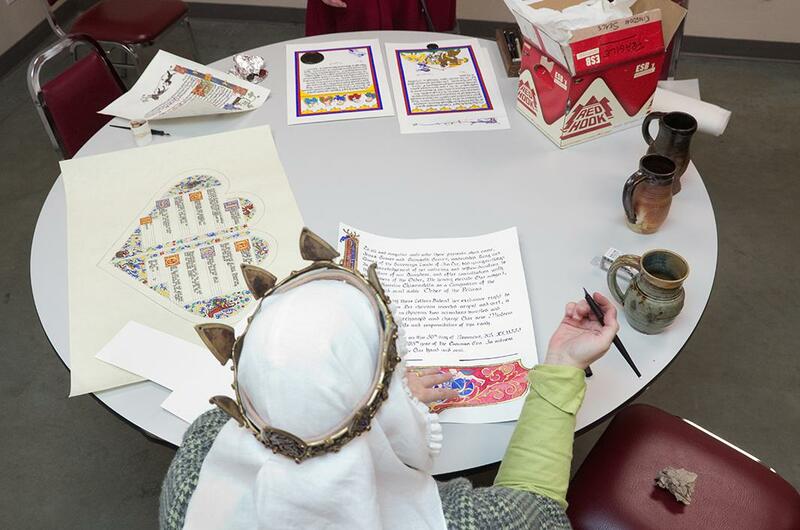 But that was the case for Euan Forrester a few years ago, whose co-worker, he learned, was a member of the Society for Creative Anachronism (SCA), an international group of 60,000 people who share a passion for recreating medieval culture. Forrester was intrigued, and, in 2010, he started accompanying his friend to his practices at the Cloverdale Fairgrounds in British Columbia, Canada. “I was into medieval stuff when I was a kid, playing role-playing games on my Nintendo, Dungeons & Dragons with friends, and reading fantasy novels. So this seemed like a neat way to get to connect with that again now that I was older,” Forrester said via email. During Wars, competing armies try to wipe each other out. Fighters call hits on themselves: They “die” when they feel they have received a killing blow. 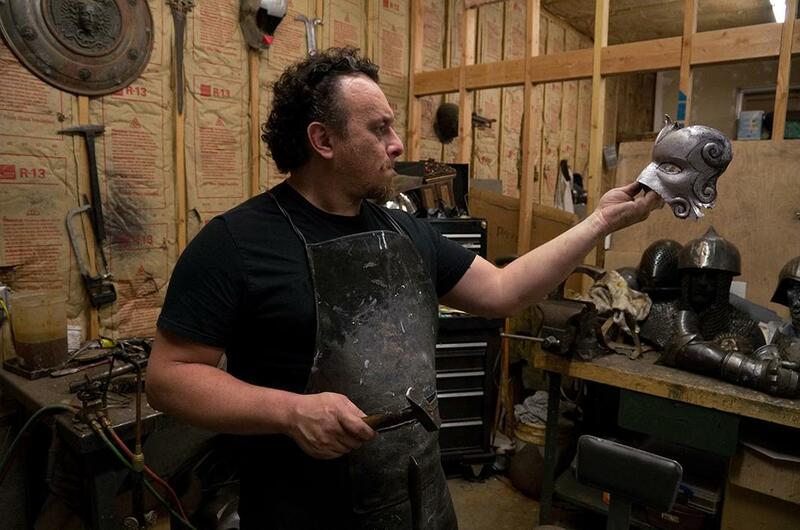 Master Armorer Ugo Serrano in his home workshop. His personal suit of armor took more than 200 hours to complete, with the face alone taking more than 40 hours. Forrester started taking photos at the practices right away, learning, as he went along, better ways to capture the flurry of, on average, about a dozen flying wooden swords and shields. 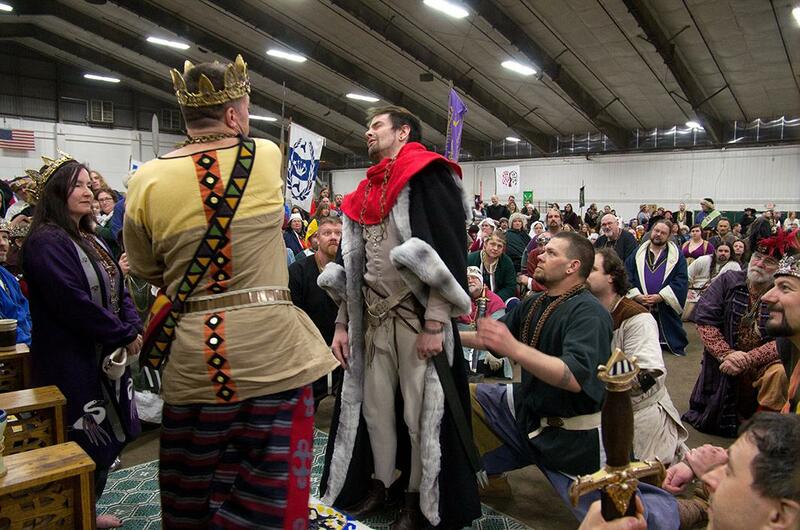 Forrester’s friend noticed his enthusiasm, and informed him there would be an upcoming tournament to determine the SCA’s new king. That September, Forrester journeyed to a farmer’s field in Washington to photograph the days-long event, which he says drew around 1,000 participants. 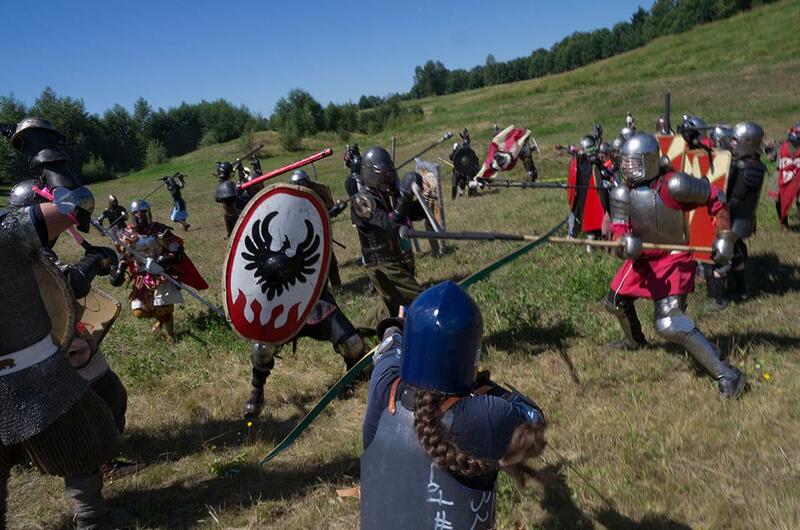 The tournament, Forrester says, felt like a cross between “going to a friend’s soccer game and going camping.” Throughout the day, some watched the fighting, while others hung out around the tents, eating, drinking, and playing games in the medieval style. 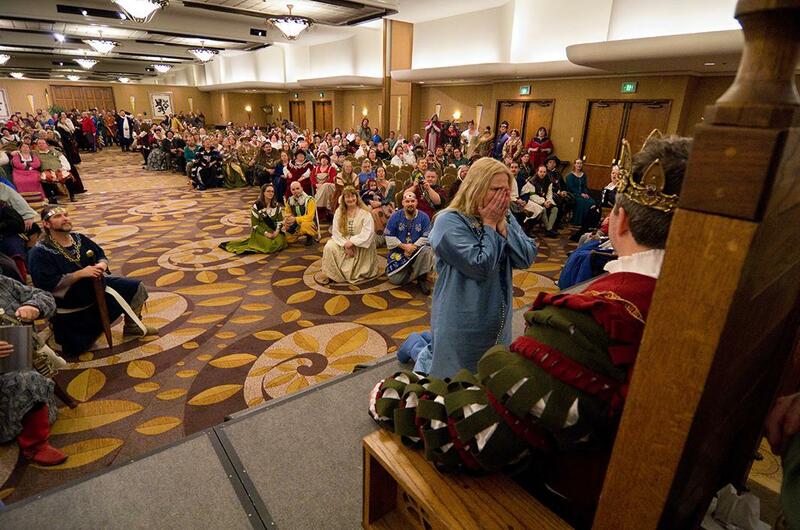 In January 2013, Forrester went to Portland for another big event in the Society’s calendar—the coronation of the winner of that year’s tournament, who would reign over the group for the next six months. “It’s about recreating the experience of living in the Middle Ages, specifically the fun parts of it, and taking out the bad parts. For instance, people can wear eyeglasses, women can be fighters, nobody gets the plague, no one has to be a serf—that sort of thing. So when you come, it’s up to you how medieval you want to be,” he said in a phone interview. 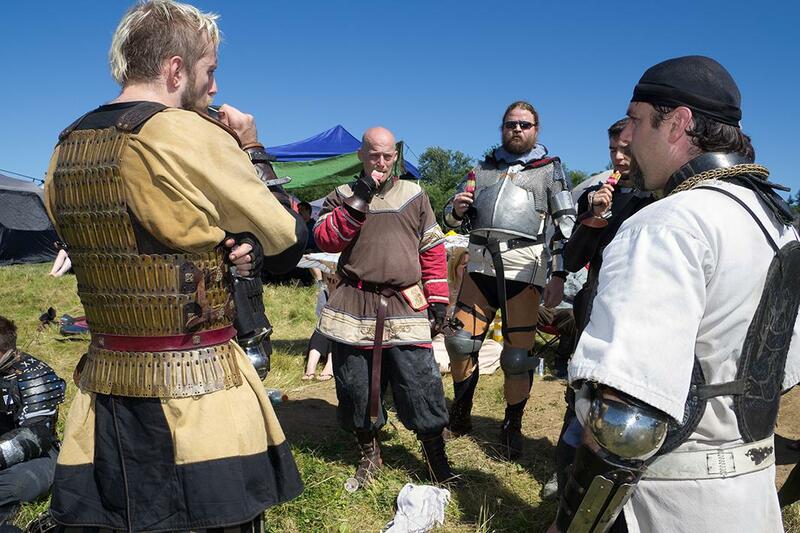 The Vanguard of Valhalla take a break in the sweltering heat. Water Bearers keep the fighters hydrated, and sometimes bring them treats. Sgt. 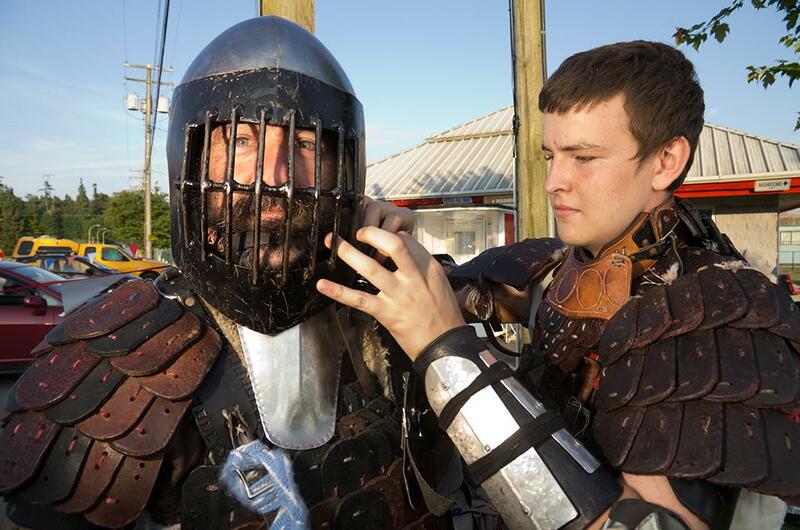 Jayson Werner is helped into his armor by his son. Fight practice generally occurs weekly, and gives fighters a chance to socialize together and learn from one another. SCA events are often geographically quite far apart, usually requiring several hours of driving each way to attend. 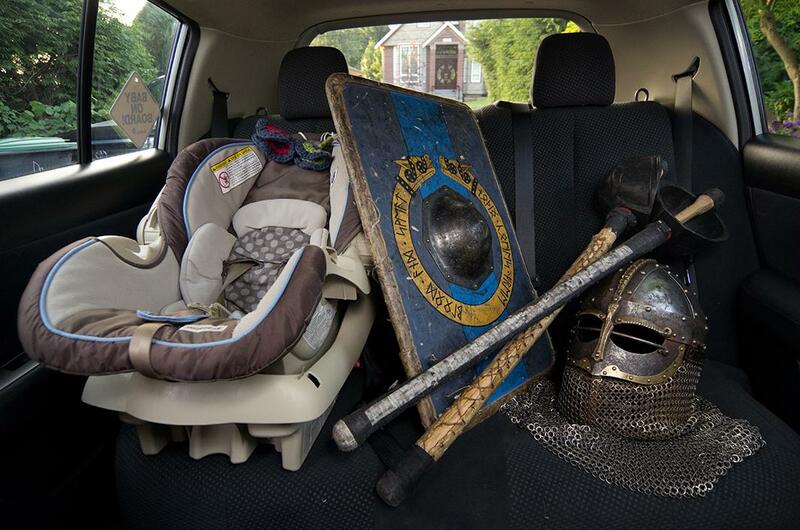 SCA members take their hobby seriously, but Forrester said they still have a sense of humor about it—a quality he hopes is clear in his photographs. 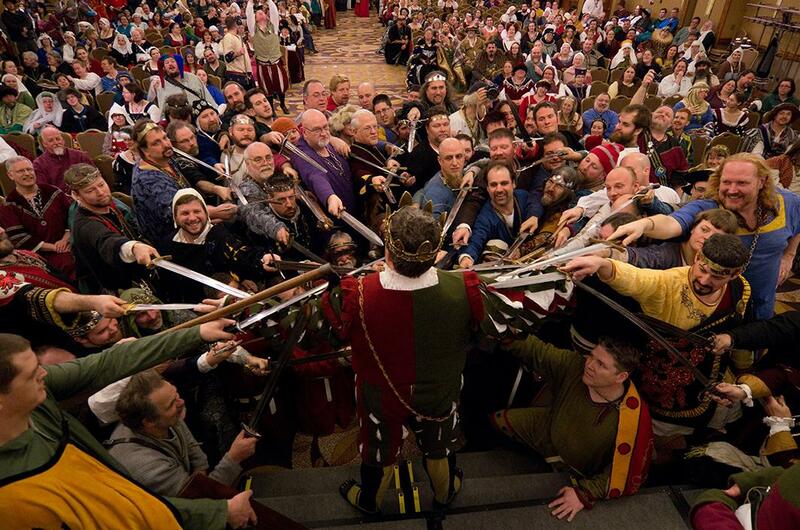 Members of the group, however, do frequently feel “judged” and mocked by those unfamiliar with medieval recreation. Keeping that in mind, Forrester’s goal was to treat his subject with respect he believed it was due. Queen Gwyneth Gower signs a certificate inducting Désirée Aurelia Chiarastella into the Order of the Pelican, a recognition of her exemplary service to the SCA. Former Queen Astrid av det Fjord Landskap is recognized for her service to the SCA. 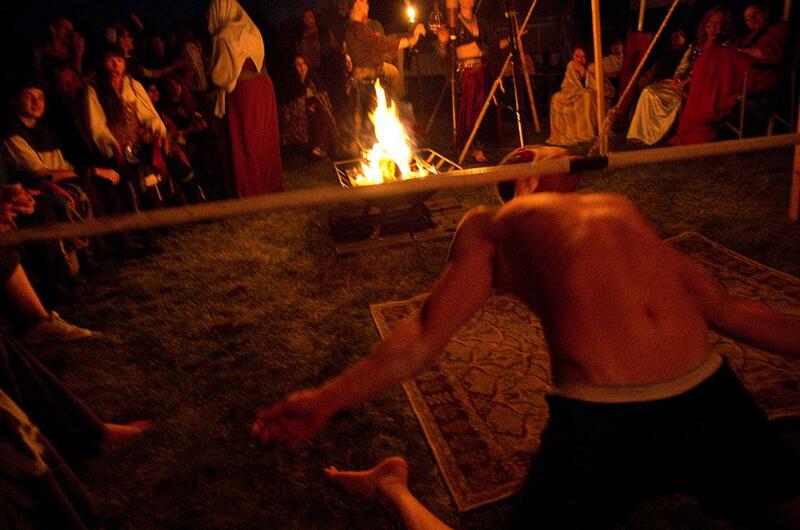 At night, everyone is invited to join the Bardic Circle, where they can sing, dance, and play games.